We’ve got things so screwed up in this society that one has to wonder sometimes what the powers that be were smoking when they legislated these crazy laws of ours. I have always struggled with the fact that in our country one would get a significantly larger prison sentence for harming a cat than one would for harming (or killing) a human being. Don’t get me wrong; I do not believe in harming any animals, but the fact remains that they’re animals and we are humans. Is not a human life worth more than the life of an animal? Apparently in our society, based on the way we punish the perpetrators, the answer is No. It’s pretty sad indeed. It seems to me that there is too much concern over prisoners “rights” and not enough concern for the rights of the elderly. If it were up to me, the policy would be that prisoners forfeited their “rights” when they did the crime, and they can’t have their “rights” back until they’ve paid back their debt to society. The money our governments would save with such policy would be more than enough to cover the costs associated with treating our seniors with dignity and respect, like real human beings. Human rights advocates would no doubt be appalled at my suggestions to return our prisons to third-world levels. I find this amusingly ironic, because while they balk at the lack of human rights in such prisons, many of these same advocates continue to support the abortion of the innocent unborn. While they raise their protest banners against what they see as injustices in the animal kingdom, they stay home and say nothing when some maniac, fully within his “rights” to bear arms, walks into a school with guns blazing and slaughters other innocent children. To make matters worse, suddenly the concern is all about the poor perpetrator with the guns, “He had such a difficult time in school; they teased and bullied him so much that it drove him to this.” Give me a break! Meanwhile, what about the “rights” and concern for the families who lost their children? Something is very, very wrong. The truth of the matter is that I do not have ill will towards anyone; criminal, elderly, unborn, or even the neighbor’s cat. I have deliberately sensationalized portions of this post in order to illustrate a point: We are a screwed up society with twisted values and I long for the day that we see some politicians with enough back-bone to turn things around. Forget waiting for the right politician to come along and fix all our woes; focus instead on doing the will of God. What is God calling you and me to do today? Perhaps we would do well to focus our energies and attention on that. 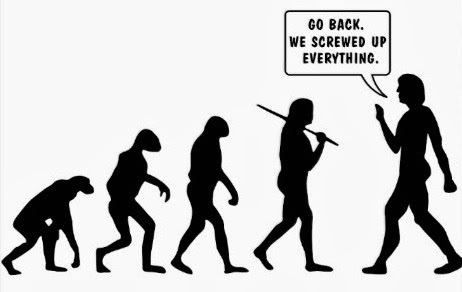 Our screwed up society, like the rest of the world, will one day pass away. All that will remain is God, and those who are truly His. Thanks for listening to my rant. Peace & Blessings.